My St. Louis 16 Patch is finished and I am in LOVE!!! I recently found this fabulous FREE pattern designed by the fabulous Steffani K. Burton and asked for help in deciding how to quilt and bind it. I quilted it using Rocking Horse FabuLux. I designed this peach, mint, and baby blue thread with pastel baby quilts in mind, but was thrilled to see how awesome it looked on these bright Flora fabrics by Joel Dewberry. When you look at the quilt closely, you can see the individual colors but from a distance it stitches as a neutral. I chose a few dark colored Flora fat quarters and cut them up for the binding. I am actually becoming adequate at machine binding and was able to bind it shortly after the quilting was completed. So, what fabrics are you going to choose for your St. Louis 16 patch quilt? 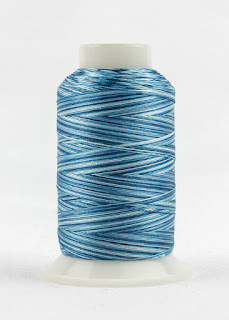 And what thread color will you use for the machine quilting? Since you all helped me with these questions, I'll be sure to help you as well! Did you hear that sound? That swooshing sound? It was the sound of me discovering Pinterest and having hours of my life sucked away. I resisted as long as I could but with Pinterest, resistence is futile. One Pinterest rabbit trail led me to St. Louis 16 Patch, a FREE pattern!!! I ran immediately to my fat quarter collection and pulled out a stack of Joel Dewberry's Flora fabrics. I petted and pressed and arranged my fat quarters until I was happy with the pairings, then I pulled up the pattern and read it carefully before starting. My brain exploded when I realized that the pattern was written by a friend of mine, the fabulous Steffani K. Burton! How the heck did I miss this important detail? It probably was because I was blinded by the elegant simplicity of the quilt and my desire to make one for myself RIGHT NOW! I made the quilt top last week while recovering from some medical nonsense (quilting is the best medicine) and I enjoyed every second of it! This is three shades of olive and would read as a solid in the quilting. 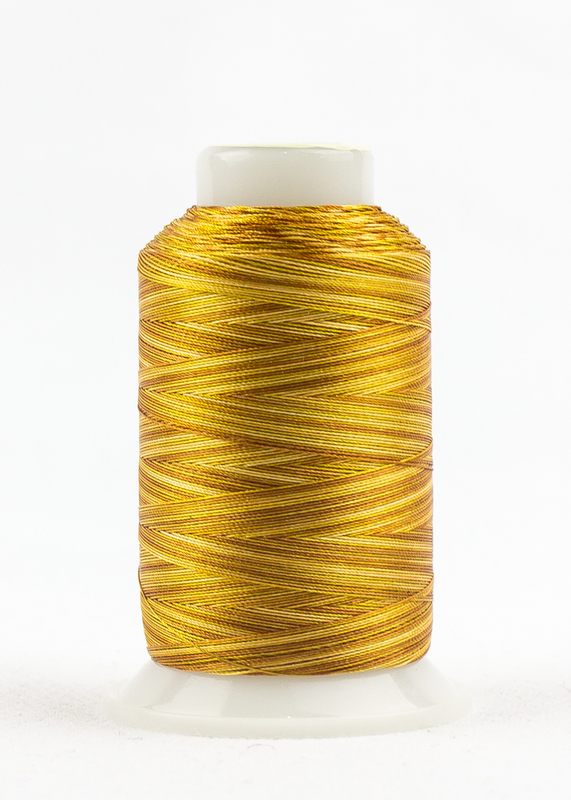 While I don't have a favorite color of FabuLux, this spool of three shades of rich gold is the one I've used on more quilts than any other spool. I love the way this blends into many different colors! This variegated pastel surprised me as a choice. The thread is peach, light blue, and mint and actually blended pretty well into the quilt when I puddled the thread onto the quilt top. This is three shades of bright blue. I would definitely see the thread on this quilt and that could be a good thing! This was quilted with Midas Touch, a pretty dark thread for this quilt, but the color of the quilting doesn't overwhelm the quilt. I plan to bind my St. Louis 16 Patch in a variety of strips cut from more Flora fat quarters. I could also pick a solid color to use for binding. 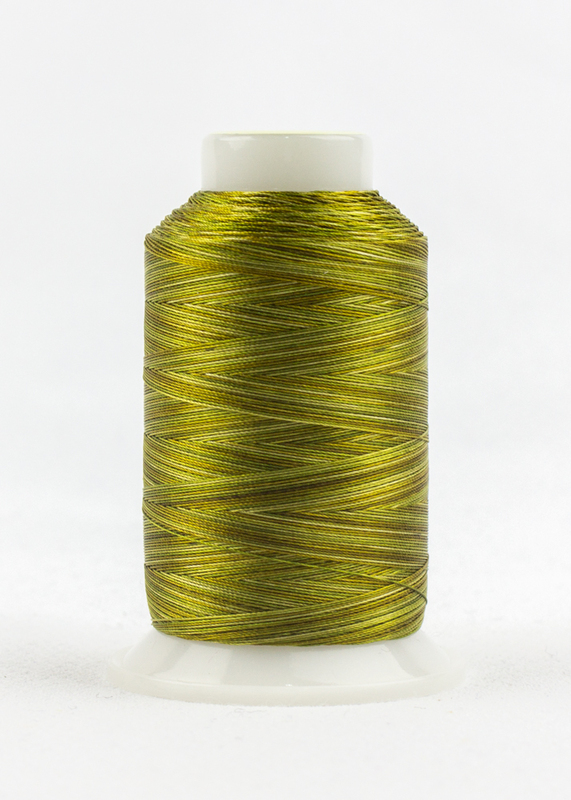 Is there a specific color that you think would work for binding? I had trouble deciding which thread and binding to use on my Floating Squares quilt, so I enlisted the support of the quilting community. I asked; you answered. I liked that it was a shade duller than the quilt fabric. I didn't want the thread to over-power the already powerfully bright quilting fabric. I listened to binding suggestions, too, and chose to frame my quilt in black binding. This quilt is going to a new(ish) baby in the family. If he gets it before his first birthday, that's on time, right? Weekends. Payday. Christmas. Birthdays. The day Block Magazine arrives in the mail. These are things I look forward to. Block Magazine just arrived and I dove straight into my scrap bins to make the Floating Squares quilt. All was going well until I got ready to quilt it. 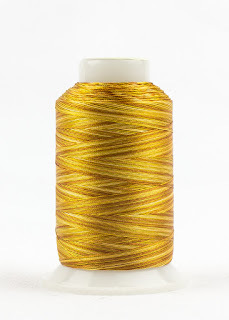 What thread should I use? 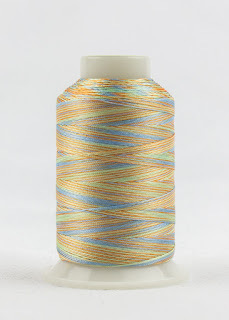 I know that I will use one of my FabuLux threads by WonderFil, but which one? I also considered going wild and using one of two hot pink threads and hot pink binding, but I have decided against it. Which would you choose? And what color binding would you choose? I can use black, lime, or bright yellow. While dealing with life's challenges, quilting is always the best medicine. Always! 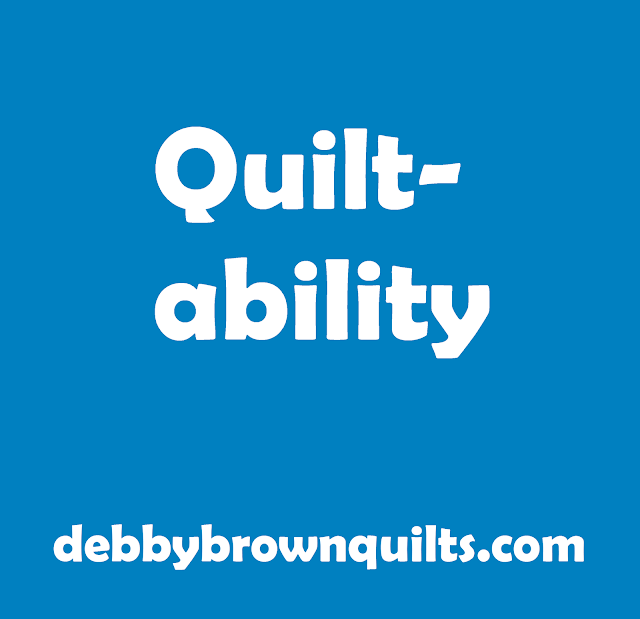 But what if life's challenges include not being able to quilt due to physical problems? Quilting is still the best medicine, but it is necessary to use the right tools and adapt the way I quilt as I deal with some specific physical challenges and middle age in general. Today's tips are about scissors. IMy hands don't work they way I want them to, especially when the weather changes. I have found a few scissors that make my life easier. Top left: Fiskar's Snips. I buy myself a new pair of these snips about once a year. 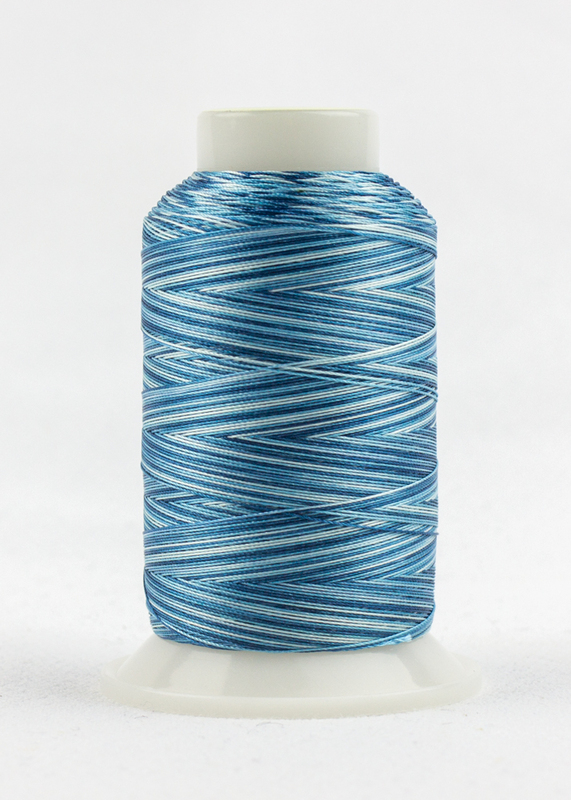 Before I started longarm quiting, I never knew that I could dull scissors just by cutting threads. Yes, I cut those threads thousands upon thousands of times, but it was still news to me. These are my go-to snips for machine quilting. I can pick them up and quickly snip without fussing about maneuvering my fingers into tiny finger holes. A simple flick of the lock to open and a painless squeeze of the fingers to snip and I'm done! Top right: Karen Kay Buckley Perfect Scissors. These scissors are light weight, beautifully sharp, and the finger holes are big enough that I can easily get my fingers in and control the cut no matter the weather. I use these mostly for trimming my applique and they do the job so well! Warning, these scissors are very, very sharp and I may or may not have stabbed myself in the palm of my hand last year. Bottom: Famore EZ Stitch Snips. If you've ever been at a major quilt show and seen The Scissor Man with scissors hanging off his apron, that is Brint from Famore Cutlery and these are his scissors. I use these beauties as stitch removers. Once again, no tiny scissor finger holes to deal with and they do their job well. The little hook can catch a stitch to snip the thread I want AND ONLY THE THREAD I WANT! These are some of my favorite scissors to use on days when my fingers betray me. Which scissors are your favorites? My friend and I are on this Bloom journey together. She is making her quilt from Lori Holt's Calico Days fabrics. I am making mine from my stash because... boy do I have a fabric collection! I am hand appliqueing mine and absolutely LOVING using InvisiFil threads for hand applique. They are strong and thin and disappear making my applique look better than it deserves to. They blend really well so I could probably get by with only 10 colors, but I kind of have them all. It's how I roll. 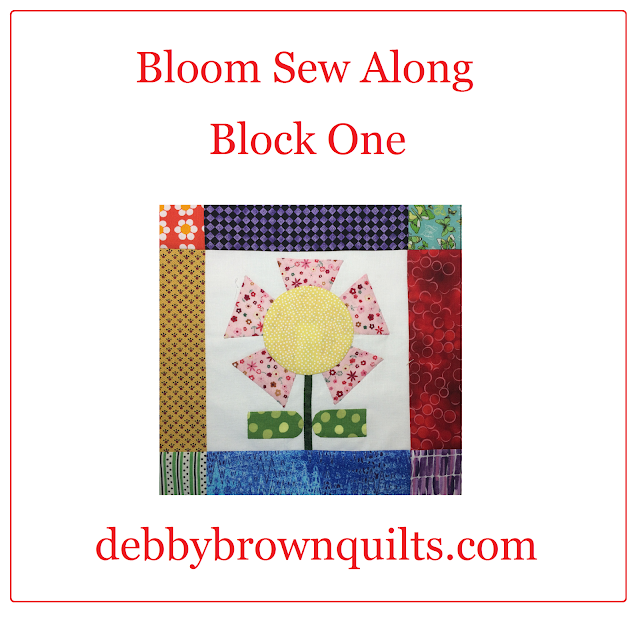 Have you given in to the Bloom Sew Along? Which fabrics are you using? Click HERE to see everyone else's Flying High block. Over the years, I've accumulated a collection of quality quiltng tools and I'm spoiled. I don't think I could quilt without them! I hope we have more applique blocks in the future! So many quilters responded to my Why I Quilt post and told me why they quilt: they quilt because it is their relaxation, their escape, their art, their passion. It is all of those things for me and more! 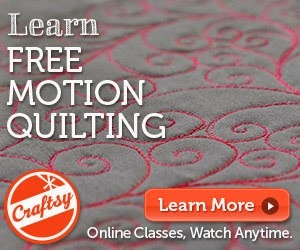 Many quilters told me that they want to learn more about machine quilting. I adore machine quilting and am thrilled that it's time for the first Machine Quilting Tutorial for The Splendid Sampler! I used our first block, Hearts Aflutter, to show how to echo inside and outside the heart. 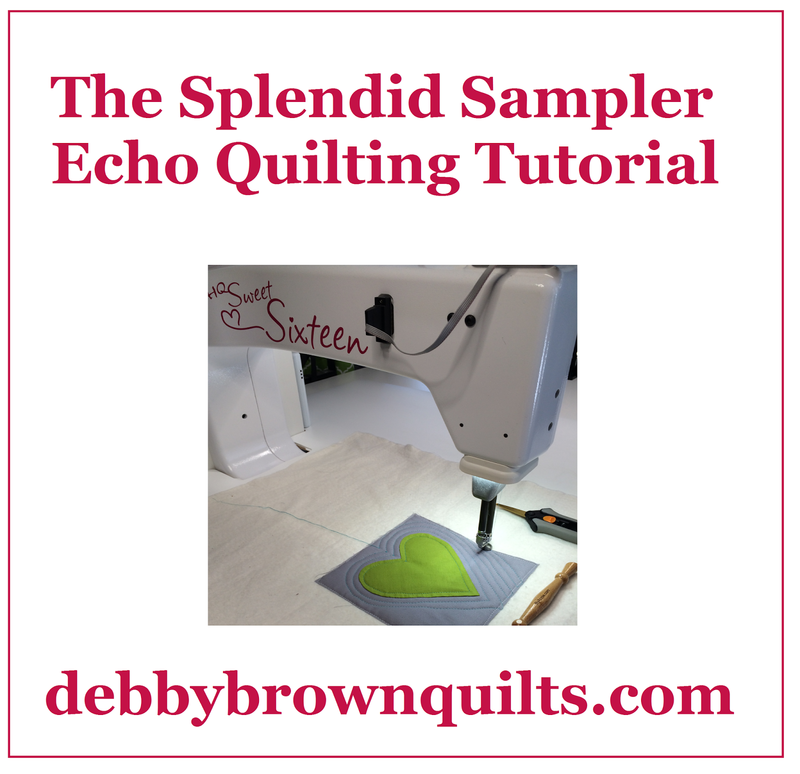 I had fun filming this tutorial on my Handi Quilter Sweet Sixteen, but this quilting technique will work on any machine that allows you to free-motion quilt. My machine has a 1/4" foot, but you can use whatever size foot your machine has to help keep your echoed lines consistent. Pat Sloan's Hometown Girl AuriFil 50 weight thread was a dream to quilt with. It was thin and smooth, tensioned beautifully, and looks great on my samples. Thanks for watching. 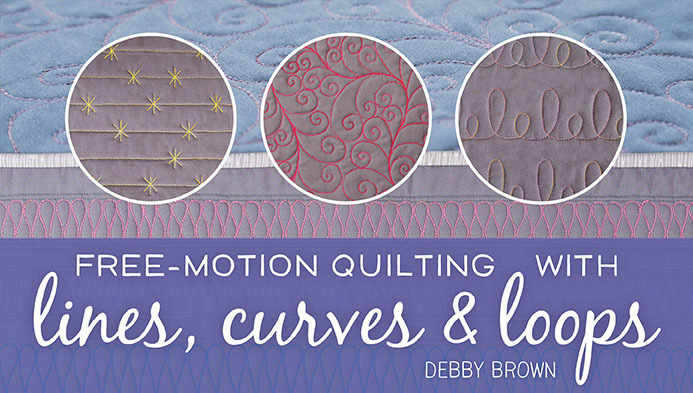 Sign up for my newsletter HERE to make sure you don't miss any of my machine quilting tutorials. 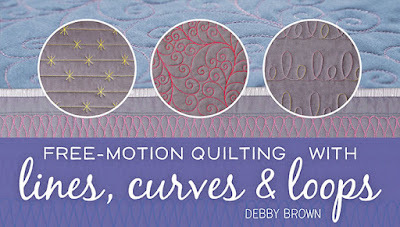 For more information on machine quilting, check out my Craftsy Class "Free-Motion Quilting with Lines, Curves and Loops"
Never would I ever in a million years have picked this block to make on my own. Never. Ever. Nope, not even once. This block has half-inch borders, one inch half-square triangles, and is just plain tiny. 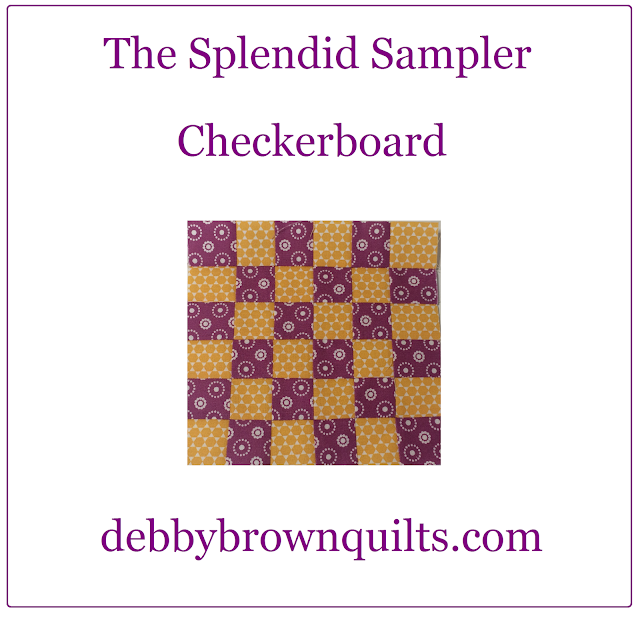 However, now that I've finished Corey Yoder's block for The Splendid Sampler, I am so glad that I did! 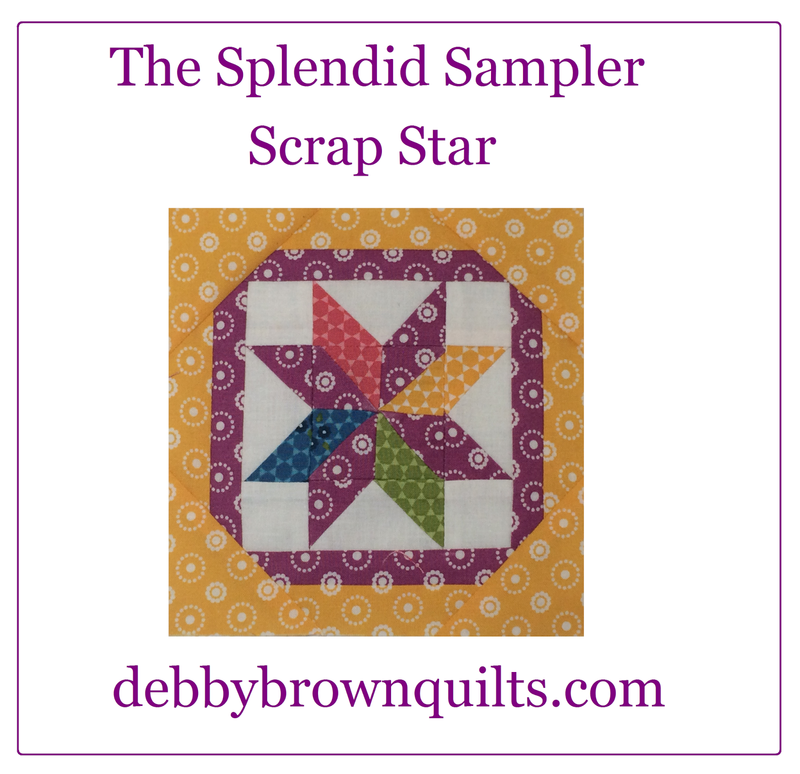 Scrap Star is finished and I love it! I love everyone else's blocks, too. See them HERE. Is there a type of quilting that you avoid? For me, it's always been miniature piecing. What type of quilting challenges you most? I felt like I didn't read much in March since I was sick for most of the month, so I was surprised to see my list was even this long! This book was far more about learning a woman's backstory than it was about finding the solution to her current predicament. This was my first Jonathan Kellerman book but it likely won't be the last. Stephen King wrote this specifically as an audiobook. It was a first-person unreliable narrator's account of a firework escalation between neighbors in Maine. It was very short and had several laugh-out-loud moments. This fun read was even funner because it was set in Melbourne and I had several "Hey, I've been exactly where they are talking about" moments. I also appreciated Don and his quirks and loved how devoted he was to his friends. I understood him and rooted for him the whole way! I have avoided reading this series for years and years, for no particular reason. I had some technical problems this month and I could neither listen to a disc nor listen to Audible. The horror! The only audiobooks I could listen to in my studio were ones downloaded from my local library. They have most of the Preston/Child books so I gave in. The narrator was great and the book was great. On to book two! I read this book just because I want to see the movie. I'm not exactly sure why I want to see the movie since I usually root against Leonardo DiCaprio on screen (Iceberg - 1, Leonardo - 0), but I read the book anyway. I enjoyed the book and enjoyed playing with my scrap bin while listening to it. I was left disappointed in the ending, but enjoyed the journey. Now, since I know the ending (Leonardo - 1, bear - 0), I have to work up the energy to watch the movie anyway. I have a lot of catch-up quilting to do and I can quilt while half-listening to books like these. Spoiler alert: Eve Dallas caught the bad guy. This book is worth reading again and again and it just makes me happy. I'm trying hard not to just start reading it again RIGHT NOW! I think I'll settle for watching the movie... again. Do you have any recent reads that belong on my April bookshelf? I'm always looking for a good book. I'm making a point to make some of my blocks without any background so I'll have a selection of light and dark blocks by the time I finish all 100. This block worked great without any white background fabric. Amy Rosenthal's Meadowbloom fabric is so bright and cheery! See how everyone else's blocks turned out HERE. 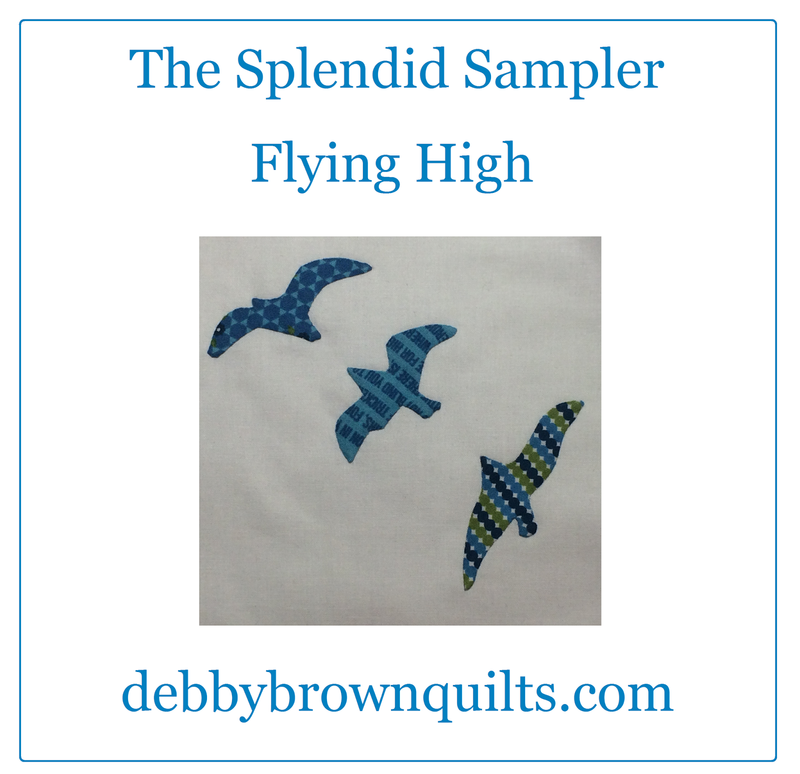 I'm still behind on my blocks for The Splendid Sampler, so I'll rush right off and resume quilting!